The Moon is the Earth’s only natural satellite and the fifth largest moon in the Solar System. It is also the largest natural satellite of any planet in the Solar System relative to the size of its primary. With a mean diameter of 3475 km (27% that of the Earth) and a density about 60% that of the Earth, the Moon is approximately 1⁄81 (1.23%) our planet’s mass. Among satellites with known densities, the Moon is second only to Jupiter’s moon Io. 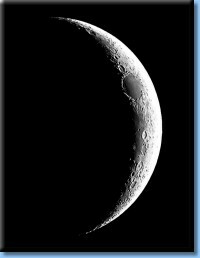 Since the Moon is in synchronous rotation with Earth, it always presents us with the same face. 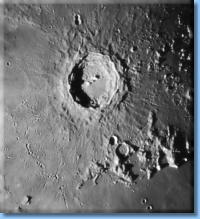 This near side is characterized by dark volcanic “Maria” cattered among older and brighter crustal highlands and many prominent impact craters. While the Moon appears a very bright white to us, its surface reflectance (albedo) is actually quite low, similar to dry asphalt. The Moon’s prominence and regular cycle of phases have had major cultural, mythological and religious influences on humans. They have also impacted languages and social customs, the development of calendars and ancient astrological symbols. 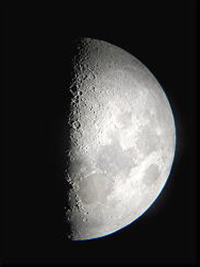 The Moon's gravitational influence affects not only the ocean tides and the reproductive cycles of many organisms, but also causes gradual lengthening of the day. Since the Moon currently orbits the Earth at an average distance of about thirty times our planet’s diameter, it coincidentally appears similar in size to the Sun in the sky. Because of that the Moon periodically eclipses part or all of the Sun, resulting in partial and total eclipses. 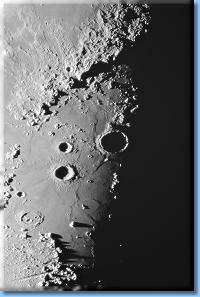 Evidence suggests that Moon formed nearly 4.5 billion years ago, not long after the Earth. Many samples of lunar rocks returned by Apollo astronauts have been dated that far back. Although the evidence is not yet conclusive, the current most widely accepted hypothesis is that the Moon formed from the debris left over after a Mars-sized body collided with the Earth. Physical exploration of our moon began in 1959, when the Soviet Union's Luna program landed an unmanned spacecraft. This was followed by several more unmanned Soviet and US landings, until the historic United States' Apollo 11 mission in 1969 successfully landed Neil Armstrong and Buzz Aldrin on the lunar surface. Several more manned Apollo missions followed and returned over 380 kg of lunar rocks. 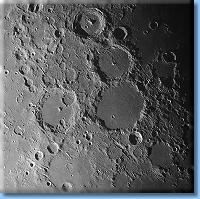 These laid the foundations of lunar geology, its likely origin and subsequent history.